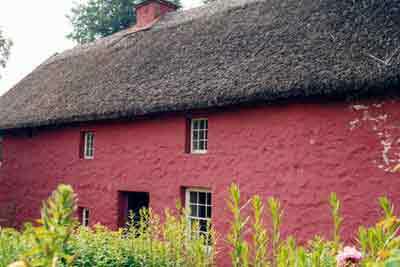 The Museum of Welsh Life is located in Cardiff and is a fine folk museum. It has scores of buildings and a full day to visit in not inappropriate. While we we there, construction workers were building a foundation for future additions to the museum. 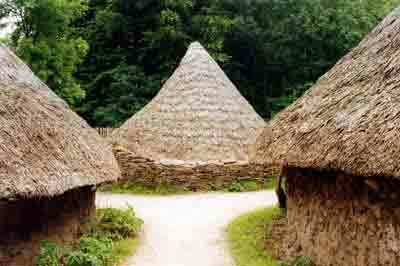 This is,of course,only a reconstruction of an ancient Celtic village such as would have been used by the ancestors of the Welsh people. 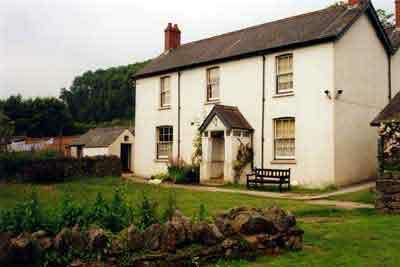 This farmhouse was built in 1610 with additions in 1680 and is a typical farmhouse from Gower, which is the south-west region of Wales. 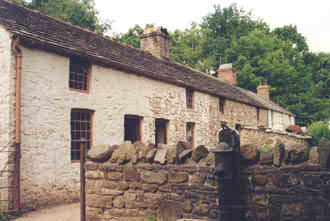 The Iron-worker's Cottages(Rhyd-y-car) were built around 1800 in the Mid Glamorgan area of South Wales. There are six cottages and gardens displayed in different periods from 1805 to 1985 to give the visitor the change in home life of the workers. The Llwyn-yr-eos Farm is a late nineteenth century farm. While not particularly old, it was interesting as there were several outbuilding with farm equipment and farm animals.